Easter has broken all records in terms of temperature. We had the warmest Easter day since 1901 with temperatures between 25 and 27 C. Also in 1949 we dealt with similar weather conditions. It made us the warmest place of Europe! The beaches and the roads were crowded. A good day to stay home and spend Easter with the (grand)children and.... a perfect day for home made ice cream to cool us down. 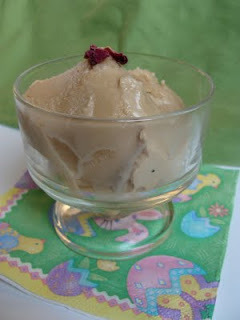 I found an interesting ice cream recipe in one of the latest issues of Delicious magazine: Rose Tea Ice Cream. I gave it a try. * Heat the milk, cream, tea and 75 grams of the sugar over very low heat and stir until sugar has dissolved. Continue to heat the mixture until it almost reach boiling point. * Pour the mixture through a fine sieve into a bigger sauce pan. Press as much fluid out the tea leaves. * Reheat over low heat until it's warm. * In a bowl, whisk the the egg yolks with the rest of the sugar for about 10 minutes until light and fluffy. * Slowly whisk the warm cream mixture gradually into the egg mixture and return the cream-egg mixture into a clean sauce pan and cook over low heat, stirring constantly with a wooden spoon, until it thickens. Make sure to not let it boil!! The cream-mixture should be thick enough to coat a wooden spoon and leave a trail when you draw your finger across it. * Pour through a fine sieve again and let it cool completely. * Allow the mixture to chill and place it, covered, in the fridge until required. * Freeze churn the cream in your ice cream maker. *If you do not have an ice cream maker do not worry you can create this recipe by hand. Make the ice cream base to the above recipe then chill in the fridge for two hours. Put the mixture into the freezer for half an hour, after which time it should have started to freeze at the edges. Beat the mixture until it is creamy once again and place back into the freezer. Do this process once again and then place back into the freezer until the ice cream is hard. Found this interesting. We used to drink rose tea quite a lot and then I couldn't get it any more. 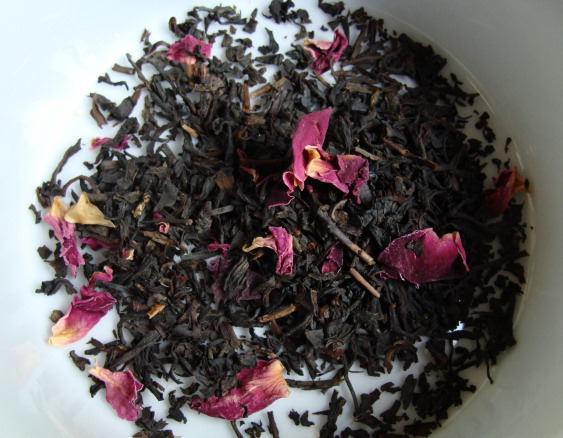 Since I love ice cream and make it quite a bit with locally grown fruit, I'll see if I can find rose tea again. I wonder whether adding roses would be okay. 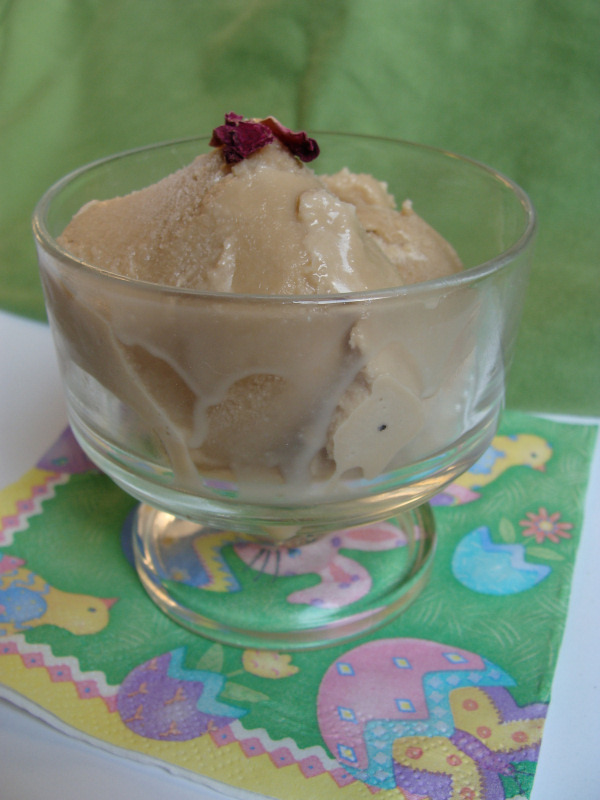 Hi Geke; good on you trying out a brand new ice-cream recipe. It looks perfect and glad that you liked the new flavour.